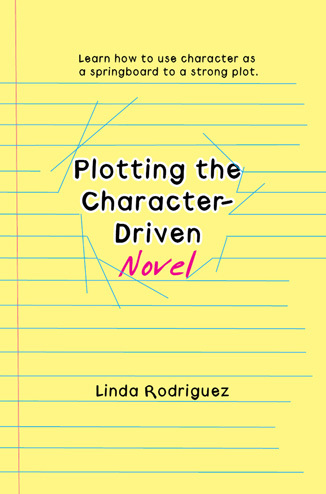 In Plotting the Character-Driven Novel , Linda Rodriguez turns her sought-after writing course on using depth of character as a springboard to a strong plot into a book designed to help the aspiring writer who wants to tell a story made compelling by the truth and complexity of its characters. She provides examples of actual documents she has used in creating her own award-winning books to demonstrate the methods she teaches. Great plot springs from character and the motivations each character has for taking or not taking action. How do you use character as the springboard to a strong plot that draws its complexity from the motivations of its characters? What are the hidden fears and desires of each major character, what happens when these are frustrated, and how do they intersect and conflict with one another? What are the secrets this character is hiding even from him/herself? What will this character tell you about her/himself if given the chance? Through asking these kinds of questions of your characters, you will learn to create an exciting and complex plot, building from the integrity of the characters you create. "Thank you for a wonderful class that was perfect. The lessons were invaluable." —Nancy R.
"I learned so much and have some great new tools for plotting." —Holly T.
"I now have an arsenal of tools to tackle that MS." —Susan B. "The exercises you gave us provided me with lots of tools to help with plot and character." —Nancy E.
"Your exercises really helped! I had thought I knew my main character pretty well before, but now I know her so much better. It's no longer so daunting a task to work on the book!" —Betty P.